Meet the Genius Pipe – the only smoking device to use patented dimple technology – cooling and cleaning your smoke as you inhale. Putting the high in high tech. Anyone who has smoked before knows that awful and all-too-familiar feeling; the acute burning sensation in your lungs when you inhale too deeply or smoke a harsh strain. Bong users found a way around this by using ice to cool their smoke and filter it to some degree. But it’s 2017…why do I still have to use ice? There’s been a bionic eye available since 2011. How does no one know how to cool off smoke? Enter the Genius Pipe. 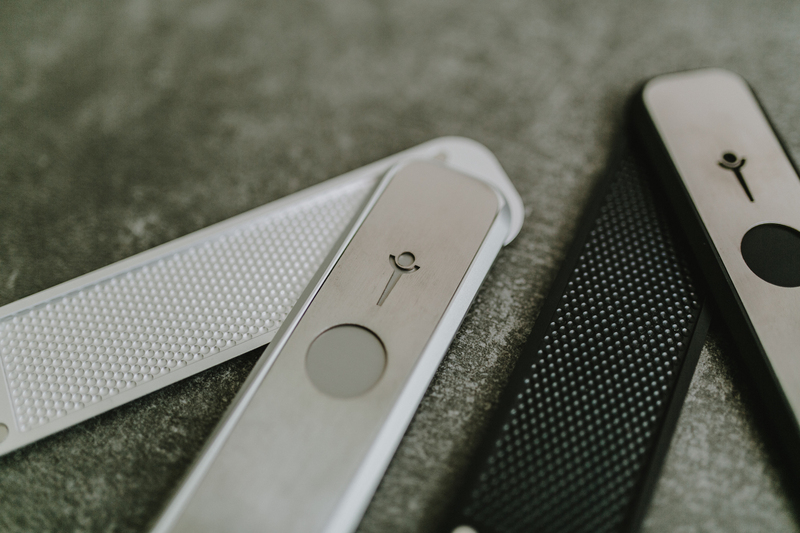 Through dimple technology, the creators behind this state-of-the-art smoking device have developed the smoothest dry hitting pipe on the planet. “Anyone who is a smoker, it doesn’t matter what you smoke, will get something out of this pipe. It really changes the way you smoke – the Genius Pipe has something for everyone,” explains marketing director Steve Butz. If you’re like me and you’re asking “what the hell is dimple technology?”, fear not. Before writing this article, the only dimples I knew about had to do with smiles. In this case, they’re similar to the grooves you would find on a golf ball. They line up in a specific pattern within the pipe. “The dimples line up with each other and create small vortexes or mini tornadoes that work to cool the air and remove heavy particulates in the smoke (tars and resin) before it gets to your lungs,” says Butz. The impressive part about dimple technology is that it actually originated at NASA. It was released in the 90s, during an open-to-the-public competition to see how it could be used in the cooling process. They had entries from all over the world and a liquid cooler with the dimple technology won. Simply put, it’s the most effective and efficient cooling technology around. Today it’s used to cool parts of computers, airplanes, nuclear reactors and since 2012, thanks to Genius, to help you get your smoke on. The pipe has been around since 2012. Back then it was bulkier and didn’t look as sleek as the newer versions. “Some people call [the latest version] the iPipe, since it looks so much like an iPhone,” Steve laughs. I can certainly attest to that as the first thing my girlfriend asked after seeing the Genius Pipe sitting on our counter was if I got a new phone. It definitely makes for a conversation piece. Genius as a brand is also very open to feedback, and actually offers a rewards system in the form of digital currency called Karma. You can sign up for an account online and with it you get a Karma Kode. Users can print high quality HD images on the pipes for a touch of customization. People can submit their own artwork and if your images get chosen, you get Karma points. Submitting lifestyle photos for them to use in marketing will also get you additional points. Another Karma member benefit is the option to be a Genius Taster, which essentially allows you to be a beta tester and try out the Genius Pipe for concentrates. This is a brand new product, so Genius wants all the feedback they can get from users. “We have a forum page where you can post your feedback, and if we use your idea we will give you more Karma Points,” says Steve. And hey, don’t just take our word for it. Shop from an assortment of Genius Pipes on our site today and experience the smoothest smoking experience of your life. Ian is a freelance writer who lives in downtown Toronto. He absolutely LOVES dogs, CrossFit and body art. Ian enjoys his coffee black, like his girlfriend's soul, with a side of sativa.